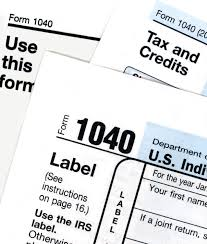 Uninsured Americans need to act now during the Tax Season Special Enrollment Period and enroll for their health coverage in order to significantly reduce the higher shared responsibility payment penalties when filing their 2015 tax return. This Tax Season Special Enrollment Period (SEP) will allow those individuals and families, who were unaware or did not understand the implications of not having qualified coverage, the opportunity to enroll in a qualified health plan. “This Tax Season Special Enrollment Period(SEP) will allow those individuals and families, who were unaware or did not understand the implications of not having qualified coverage, the opportunity to enroll in a qualified health plan. By doing so now, they will significantly reduce the larger 2015 fines established under the government’s shared responsibility payment,” explained Robert Dial, Chief Compliance Officer,ACA Marketplace Enrollment Solutions. “This Tax Season Special Enrollment Period applies to the 37 states operating on the Federally-Facilitated Marketplace (FFM). Most of the state-run marketplaces are also allowing an SEP for tax season. In order to assist uninsured Americans, the multi-lingual, certified and licensed ACAenroll.com agents are offering extended service hours during this period which runs from March 15 – April 30,” concluded Dial. Attest that they first became aware of, or understood the implications, of the Shared Responsibility Payment after the end of open enrollment (February 15, 2015) in connection with preparing their 2014 taxes. 2% of yearly household income. (Only the amount of income above the tax-filing threshold, about $10,000 for an individual, is used to calculate the penalty.) The maximum penalty is the national average premium for a bronze plan. With the dramatic 2015 penalty increase for not having health insurance, it is critical all Americans obtain qualified health insurance. ACAenroll.com licensed insurance professionals have a wealth of experience to guide individuals and assist them in selecting a health insurance policy that meets their health needs, is affordable, and protects them from hefty penalties. The good news is that 87% of Americans who enrolled in HealthCare.gov qualified for an average tax credit of $263 per month, according to statistics released by the U.S. Department of Health and Human Services on March 10th. Additionally, more than half selected a plan with a monthly premium of $100 or less after tax credits; about eight in ten of these individuals had the option of selecting such a plan. (3) ACAenroll.com agents have the experience to guide the insured to select a plan that qualifies for essential minimal coverage and meets their specific budget requirements. ACA Marketplace Enrollment Solutions (ACAenroll.com) is a national enrollment firm specializing in the Health Insurance Marketplace and the Senior Product Market. ACA Marketplace Enrollment Solutions is not affiliated with any governmental agency. We work with consumers to determine their subsidy eligibility, review benefits and plans that will meet their healthcare needs and get them enrolled for coverage. We offer opportunities for producers to have access to our carriers on a national level. Our Call Center is staffed with multi-lingual and licensed health insurance agents who also are certified on the exchange. The company’s website http://www.ACAenroll.com and our Call Center staff are available to assist enrollees through the entire enrollment process. Go to http://www.ACAenroll.com or contact 1-800-342-0631 for more information.